Selecting a Refractometer for use in the Flavor, Fragrance, and Cosmetics Industries. Rudolph’s R837 AutoFlex Sampler can be loaded 50 – 16 x 100mm Test tubes. 70 – 13 x 100 mm, or optionally dozens of sample vial configurations and capacities. Electronic Temperature Control: Fixed temperature selection: 20°C and 25°C Many aromatic substances such as Cinnamic/Aldehyde have refractive indices above 1.60 RI. For this reason,most flavor/fragrance labs choose a wide RI range refractometer like the J57WR. Electronic Temperature Control: Fixed temperature selection: 20°C and 25°C Excellent model for the flavor and fragrance industries. Designed to be used with automation. Not suitable for waxes or VERY high viscosity samples. Seen above in combination with optical rotation, density/SG and color. Electronic Temperature Control:Flexible temperature selection between 15°C – 70°C This is our most popular stand alone model for the flavor/fragrance industry. Its wide RI range 1.2 – 1.7 measures all known products. 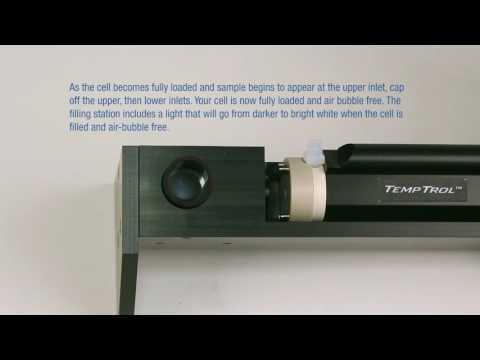 Its non-contact sample cover improves performance for evaporative samples. Presser can be upgraded to allow automation in the future. Electronic Temperature Control:Flexible temperature selection between 15°C – 100°C More accuracy and features generally needed by the industry. This model is sometimes chosen when the customer sells most of their product to the pharmaceutical industry and wants 21CFR Part 11 compliance. Electronic Temperature Control: Flexible temperature selection between 10°C to 100°C with ±0.01°C reproducibility. Rudolph’s most capable refractometer. Perfect for today’s highly regulated laboratories offering full 21CFR Part 11 compliance. 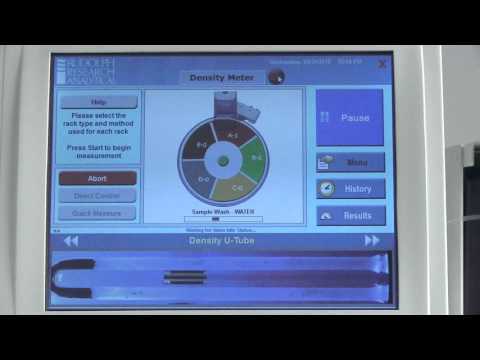 Rudolph Research is the first manufacturer to offer Smart Measure™a system that notifies the operator of the quality and status of the sample load, as well as the sample well status. This assists the operator in producing more accurate readings, and actually documenting that the sample was properly loaded. 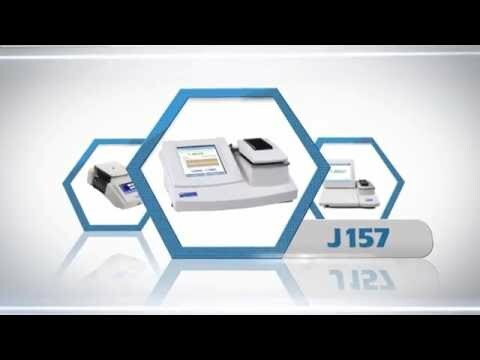 The J457 Refractometer is available in 3 configurations J457 SC – Standard Bench-top, J457 WC – Wall Mount, and the J457 FC – Factory Configuration. These configurations allow the measurement unit to be isolated from the display unit, thus protecting it from harsh environments and messy spills.